he Inverted Hammer Candlestick and Shooting Star Candlestick patterns seldom appear but are a warning trend changes are ahead. The following charts illustrate the effects of this pattern. 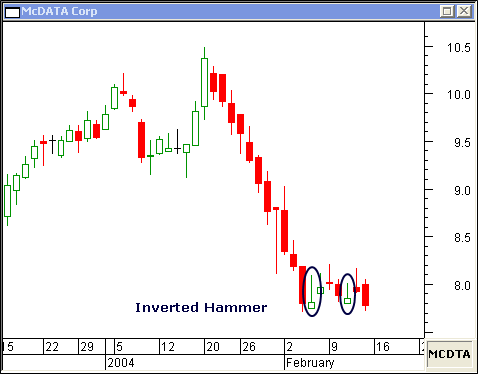 The Inverted Hammers on February 5 and 11 stopped the downward momentum of McDATA Corp on this daily chart. 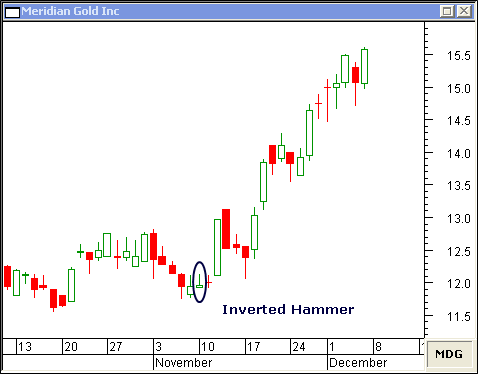 The small Inverted Hammer on November 10 was enough to get Meridian Gold Inc turned around on this daily chart. 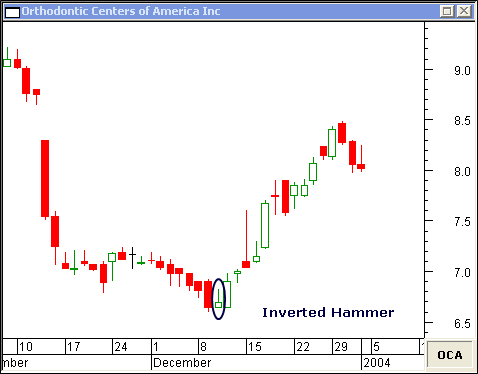 On this daily chart of Orthodontic Centers of America Inc, the Inverted Hammer pattern on December 10 was the beginning of a 28 percent increase in the value of its shares. 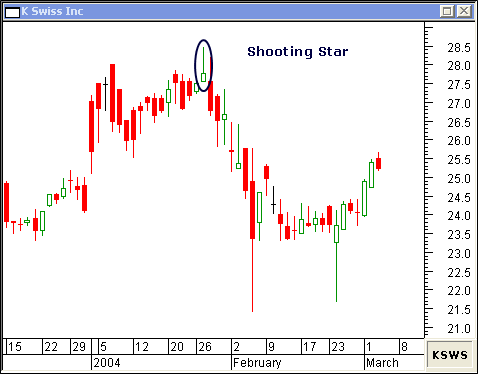 Although the Shooting Star candlestick pattern is very rare, it is a strong indication of a trend change. The Shooting Star on January 27 marks the top of a 4-year high on this daily chart of K Swiss Inc. 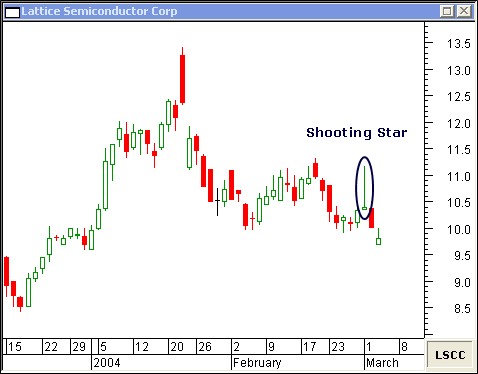 This daily chart of Lattice Semiconductor Corp shows how a Shooting Star on March 1 met resistance at $11.25... forecasting further down-side movement. 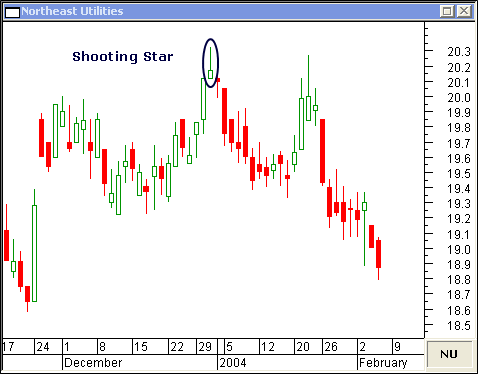 This Shooting Star on December 31 qualifies as an Evening Star... spelling trouble for Northeast Utilities on this daily chart.